In his earthly life, Jesus was limited by space and time. 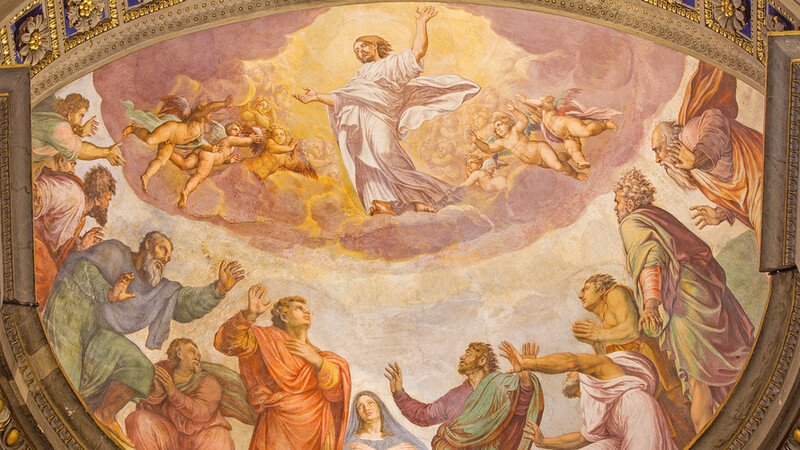 At the Ascension, "His visible presence passes over into the sacraments", so every drop of water can be the path to divine life through baptism. Every bit of wheat, every splash of wine can make his real, physical, Eucharistic presence available at any altar around the globe. Leo: And so our Redeemer’s visible presence has passed over into the sacraments. Our faith is nobler and stronger because sight has been replaced by a [faith] whose authority is accepted by believing hearts, enlightened from on high. Leo: This faith was increased by the Lord’s ascension and strengthened by the gift of the Spirit; it would remain unshaken by fetters and imprisonment, exile and hunger, fire and ravening beasts, and the most refined tortures ever devised by brutal persecutors. Throughout the world women no less than men, tender girls as well as boys, have given their life’s blood in the struggle for this faith. It is a faith that has driven out devils, healed the sick and raised the dead.